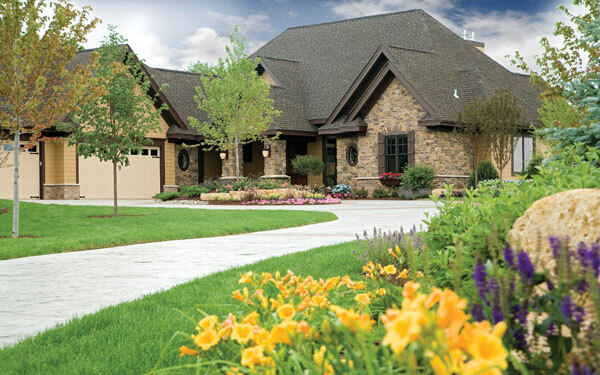 Spring is Finally Here, Is Your Home Ready? The 2013/2014 winter was long, full of snow storm after snow storm, and a lot of cold weather. Now that spring has arrived have you taken the time to see how your home stood up to the brutal winter weather? In this post we will share a couple maintenance tips to make sure your home is ready to shine this spring season. Check to see if you have any low areas next to your foundation and fill with dirt. Spring rains cause a lot of flooding and those low areas can allow water to get into the home. Examine roof shingles, flashing, and siding to see if any were lost or damaged during the winter. Check gutters. Even though you may have cleaned out your gutters prior to winter, make sure they are still free of debris. The next couple of months you could see considerable rain and you want to make sure the gutters are clear and free of debris. Give your fireplace a rest. If you have a wood-burning fireplace, take some time to examine the chimney for signs of damage and have the flue cleaned and inspected by a certified chimney sweep. Check your outside hose faucets for freeze damage. This winter was especially cold and a damaged faucet could allow water to back into the home. So before you start cleaning the car or watering the plants take a look and make sure your faucet is still in good working order. Have a qualified heating and cooling contractor service your unit. By doing regular maintenance of your unit will allow it to run more efficiently and will keep the system working longer. Check your concrete walks, driveways, and patios for signs of cracks or movement and always make sure slabs are draining away from the home. Examine the wood around your home to see if paint has chipped or is rotting and replace and repair as needed before spring rain does more damage. Check your lawn equipment and do maintenance as needed. Having clean equipment and sharp blades will make yard work easier. Clean up those flowerbeds. As with the growth of flowers, grass, also comes weeds. Keep on top of the weed growth early and be sure to coat your flower beds with mulch/gravel to help minimize with weed growth and allow for more beautiful flower beds around your home. The Board of County Commissioners recognized Turning Point Real Estate for their community commitment through the “Giving Point Project” – a program that provides a contribution to a non-profit of the client’s choice for each property bought or sold. Thanks to Joe Anselmo and Melissa Kinna (both pictured) and the whole Turning Point team for being part of this project! Turning Point Real Estate, a real estate services company in the Greater Washington Metropolitan Real Estate Market, has announced two Giving Point Project donations to the Frederick Rescue Mission in Frederick, Maryland. The Giving Point Project is a unique program created by Turning Point Real Estate, which is designed to generate consistent and substantial financial support for charities and non-profits. “The generous gifts that the Frederick Rescue Mission received from both Nina Abell and Steve Cranford from Turning Point Real Estate’s Giving Point Project will go a long way in helping to feed the hungry, clothe the poor, and bring hope to the homeless in Frederick County. The Mission is blessed to be partnered with caring community-minded businesses like Turning Point Real Estate. The Giving Point Project is truly a creative and rewarding way to help the needy during these most difficult times in our economy,” stated Tommy Skaggs, Director of Development of the Frederick Rescue Mission. When a consumer buys or sells a house through a Sales Associate participating in the Giving Point Project, 5% of that agent’s commission will be donated to a charity or non-profit of the consumer’s choice. This allows the consumer the chance to support the 501(c)(3) charity or non-profit that means the most to them. For More Information on the Giving Point Project, visit www.GivingPointProject.com. Turning Point Real Estate provides a broad range of Real Estate Services, which include Commercial and Residential Real Estate, Property Management, Investment, Development, and Construction Services. The firm is based in Historic Frederick County, Maryland (Urbana), the northern anchor of the I-270 Technology Corridor, less than an hour from Washington, D.C. and Baltimore, MD, and in close proximity to Northern Virginia. Turning Point Real Estate serves the Greater Washington Metropolitan Real Estate Market, which includes the District of Columbia, Maryland, Pennsylvania, Virginia, and West Virginia. More information about the company is available on their website at www.TurningPointRealEstate.com, or by shortcut link at www.tpre.co. Turning Point Real Estate, a real estate services company in the Greater Washington Metropolitan Real Estate Market, today announced the first four recipients of the Giving Point Project: the Frederick Rescue Mission, the Jeanne Bussard Center, Operation Second Chance, and the Maryland Sheriffs’ Youth Ranch. The Giving Point Project is a unique program created by Turning Point Real Estate, which is designed to generate consistent and substantial financial support for charities and non-profits. Recipients, which must be a 501(c)(3) charity or non-profit, are eligible to receive donations when consumers buy or sell a house through Turning Point Real Estate. “This ground-breaking program allows consumers to choose who receives the donated funds, which is meaningful for the Recipient,” says Joe Anselmo, Co-Owner & CEO of Turning Point Real Estate. “Knowing that someone who already supports Operation Second Chance will have the influence to direct donations our way will give us an opportunity to help a lot more families, not only in our area, but across the country,” says Cindy McGrew, President/Founder of Operation Second Chance. You can sign-up to become a Giving Point Project Recipient by visiting www.GivingPointProject.com. FREDERICK, MD. April 10, 2012. Turning Point Real Estate, a real estate services company in the Greater Washington Metropolitan Real Estate Market, today announced a ground-breaking program called the Giving Point Project, designed to generate consistent and substantial financial support for charities and non-profits. “Providing exceptional real estate service for our clients has always been our primary focus, but today especially we wanted to find a way to have a greater impact within the community we live and work,” states Joe Anselmo, Co-Owner and CEO of Turning Point Real Estate. For more information about the Giving Point Project, visit www.GivingPointProject.com. Turning Point Real Estate, a real estate services company in the Greater Washington Metropolitan Real Estate Market, today announced Jim Brown has joined the office. Jim has lived in Montgomery County for the past 24 years and serves as an elected official in his favorite home town of Poolesville. He was recently re-elected for a second term to the position of Town Commissioner. Jim loves to talk about the Poolesville and up-county areas and welcomes both buyers and sellers to contact him to discuss their real estate needs. In addition, Jim holds a BS in Marketing from Salem College in West Virginia, has short sale experience, and has represented a number of buyers in their purchase of new homes through local builders (at a substantial discount to the buyer). Turning Point Real Estate provides a broad range of Real Estate Services, which include Commercial and Residential Real Estate, Property Management, Investment, Development, and Construction Services. The firm is based in Historic Frederick County, Maryland (Urbana), the northern anchor of the I-270 Technology Corridor, less than an hour from Washington, D.C. and Baltimore, MD, and in close proximity to Northern Virginia. Turning Point Real Estate serves the Greater Washington Metropolitan Real Estate Market which includes the District of Columbia, Maryland, Virginia, West Virginia and Pennsylvania. More information about the company is available on their website at www.turningpointrealestate.com, or by shortcut link at www.tpre.co. Turning Point Real Estate, a real estate services company in the Greater Washington Metropolitan Real Estate Market, today announced Eric Steinhoff has joined the office. Eric comes to Turning Point Real Estate with over 25 years of experience in the franchise industry, including the management of real estate transactions. His creativity, thorough knowledge of the local market, and his proven ability to manage and execute successful transactions makes him a valuable resource for TPRE as well as his clients. His association with real estate goes far beyond helping clients achieve their goals. Eric has been active in buying, remodeling and selling his own properties for over 20 years. “When you relocate a family of 5, it takes great planning and organization to make the process go smoothly,” says Eric. Because of this, he has a unique perspective and understanding for both the buyer and seller, and feels the key to his clients’ success is communication and transparency to insure that they have a great real estate experience. “We continue to experience strong growth with experienced Sales Associates such as Eric. He is extremely customer-service oriented, and his track record of accomplishments is highly applicable to this profession,” stated Joe Anselmo, CEO and Co-Owner of Turning Point Real Estate. After traveling internationally and living in five other states, Eric and his family moved to Frederick in 1989. “This is the best place to live; we have a great sense of community, history and all the recreational resources one could want,” shared Mr. Steinhoff. Eric and his wife, Amy, have found that having three daughters has kept them very involved in the area; from volunteering, to playing sports, and helping at school. Turning Point Real Estate provides a broad range of Real Estate Services, which include Commercial and Residential Real Estate, Property Management, Investment, Development, and Construction Services. The firm is based in Historic Frederick County, Maryland (Urbana), the northern anchor of the I-270 Technology Corridor, less than an hour from Washington, D.C. and Baltimore, MD, and in close proximity to Northern Virginia. Turning Point Real Estate serves the Greater Washington Metropolitan Real Estate Market which includes the District of Columbia, Maryland, Virginia, West Virginia and Pennsylvania. More information about the company is available on their website at www.turningpointrealestate.com, or by shortcut link at www.tpre.co .